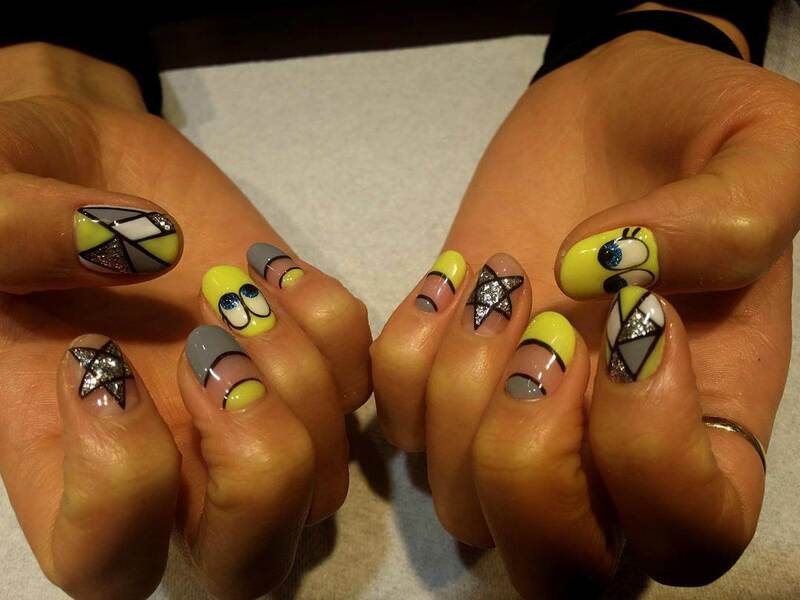 Nail art has become a popular trend with all age groups. From casual designs to sophisticated patterns, there are designs for every occasion. Apart from various designs, colors also add to the charm here. One can experiment the same designs with various color palettes. 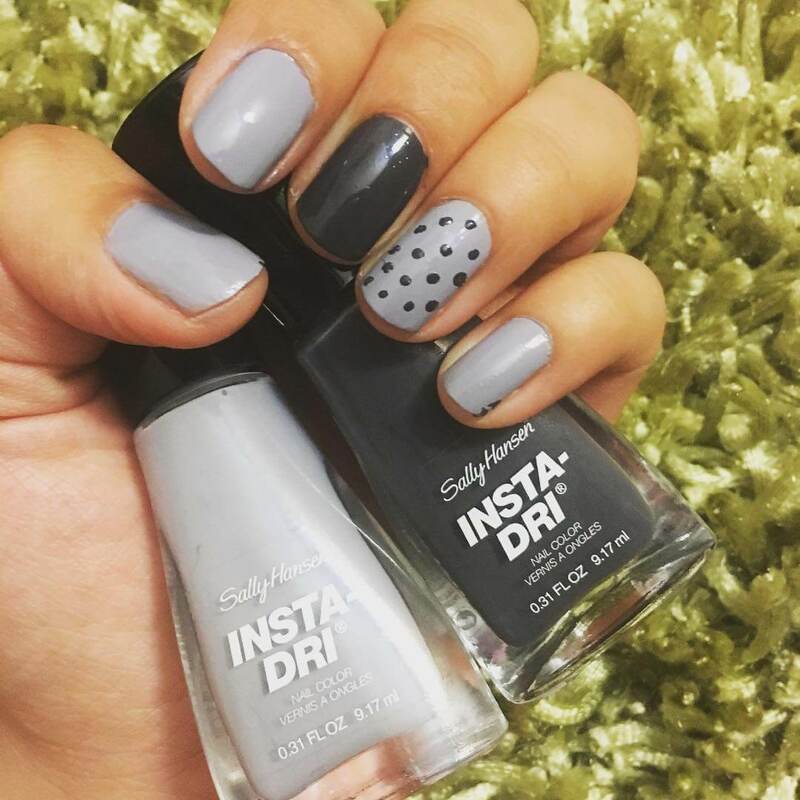 Black and red are considered as classy shades for nail art, but it is the color gray that is currently trending in the nail art set up. 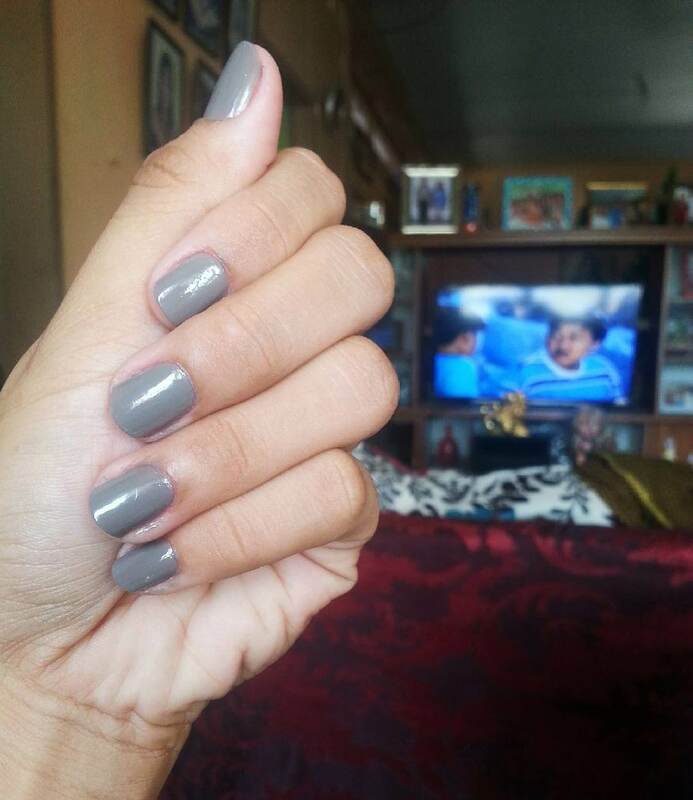 Silver blends with gray quite well. 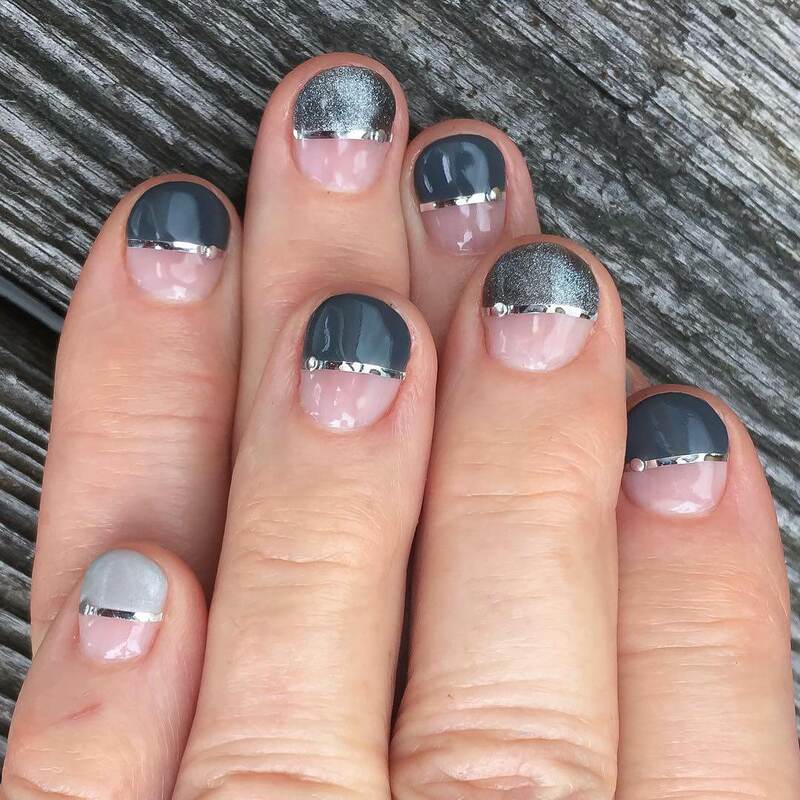 Grey can be combined with silver on alternate hands. 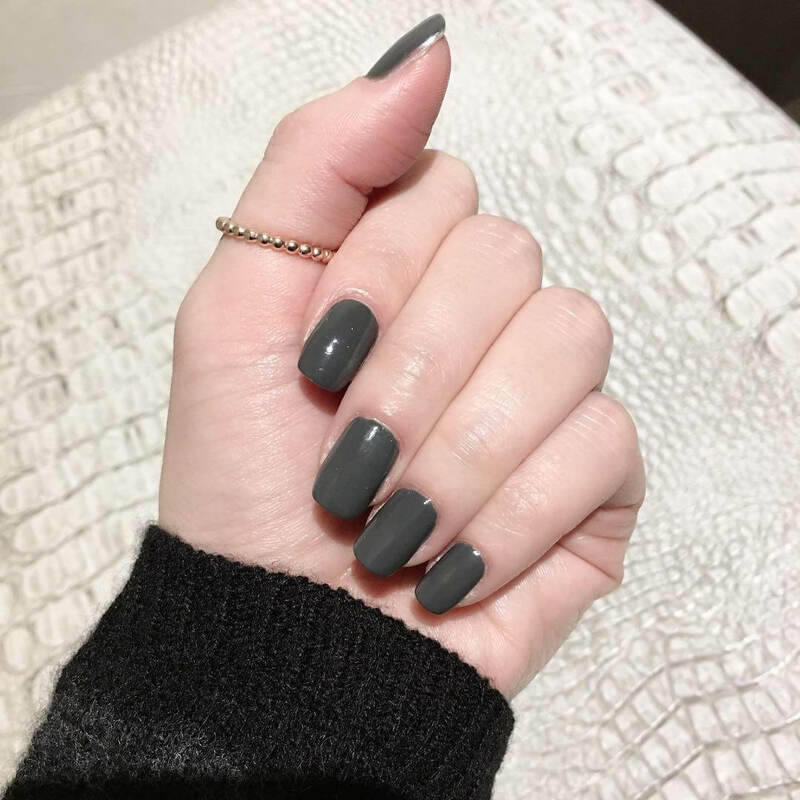 Another option is to paint all fingers with gray and only the ring finger with silver. The much in trend Aztec design can be made with gray color as well. 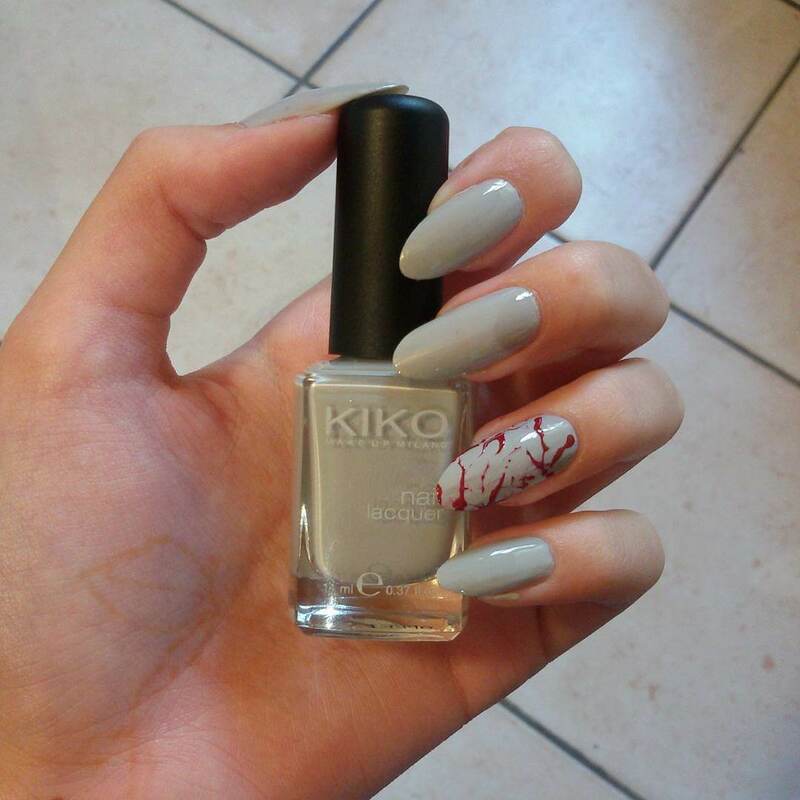 Grey can be combined with white or black for striking Aztec designs. 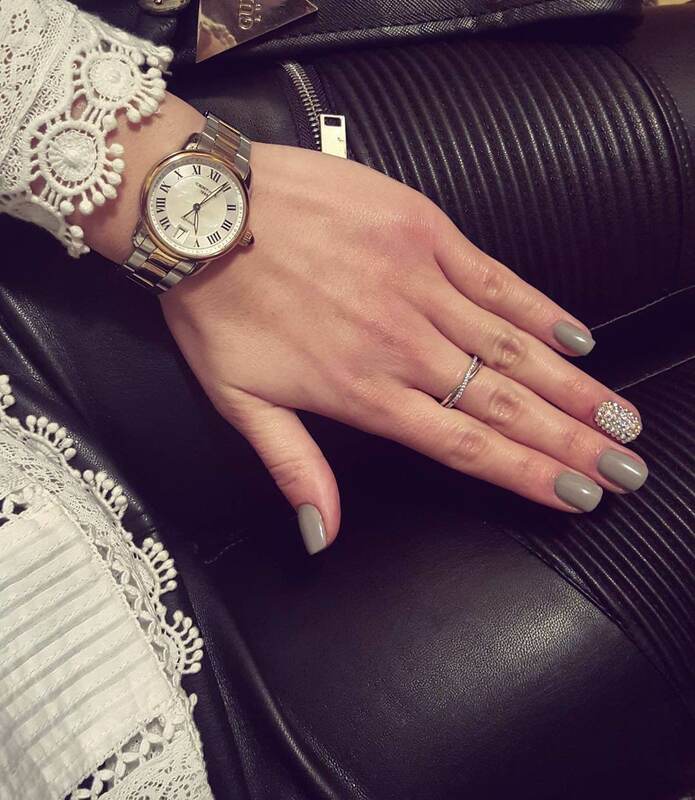 Glitter adds glamour to nails. 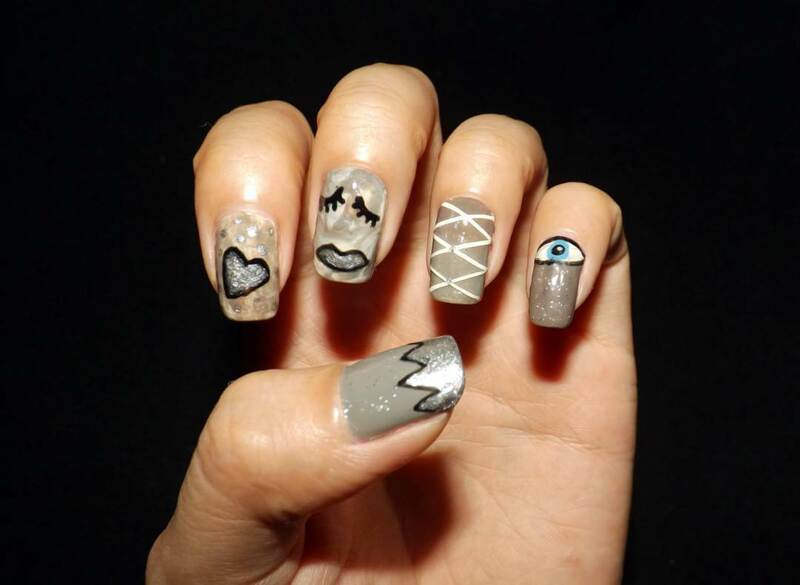 This nail art requires gray nail paint and glitter polish. 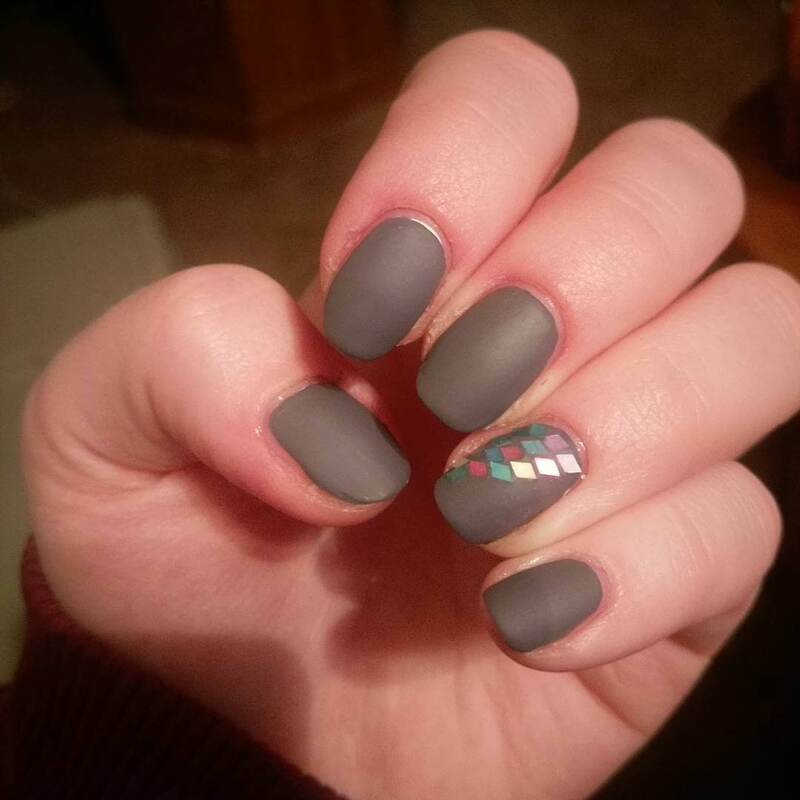 With gray as a base coat, one can add glitter in many ways. 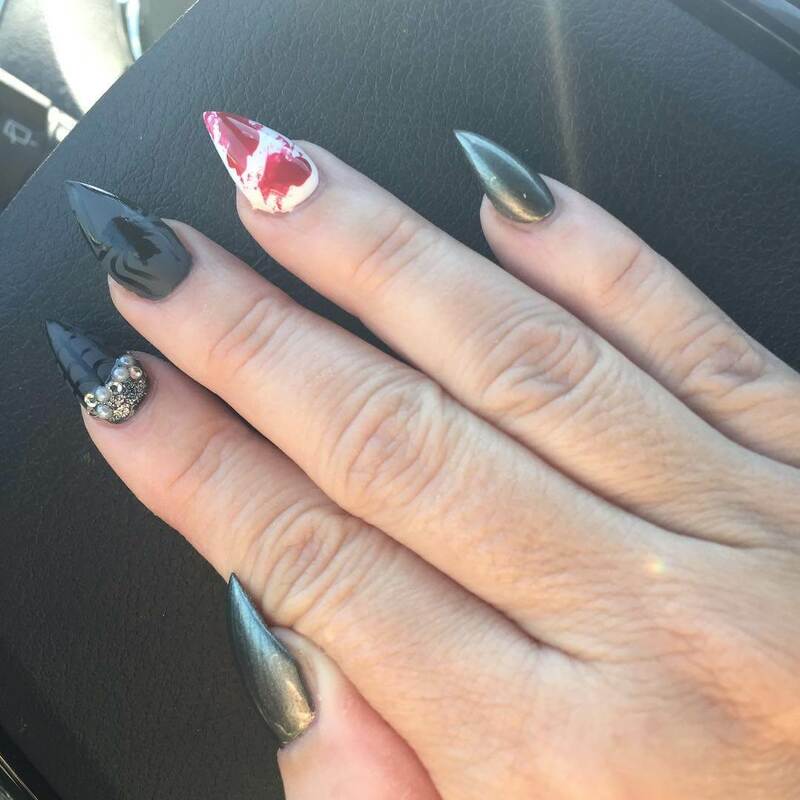 Either the entire nail can be coated with glitter polish, or just the top can be painted with glitter. 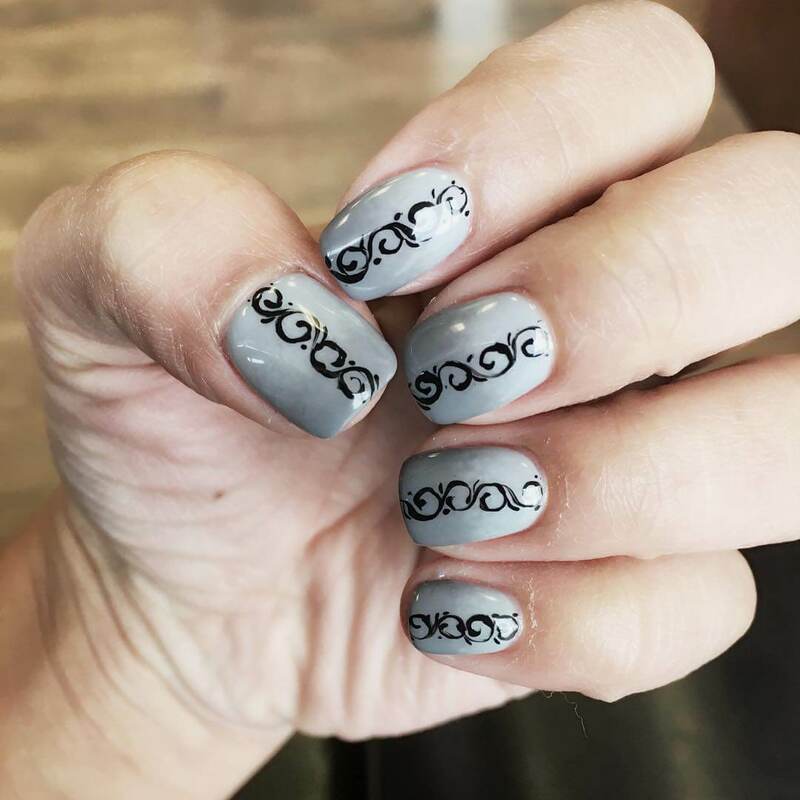 Grey and silver can be combined with black for a classic gothic look. 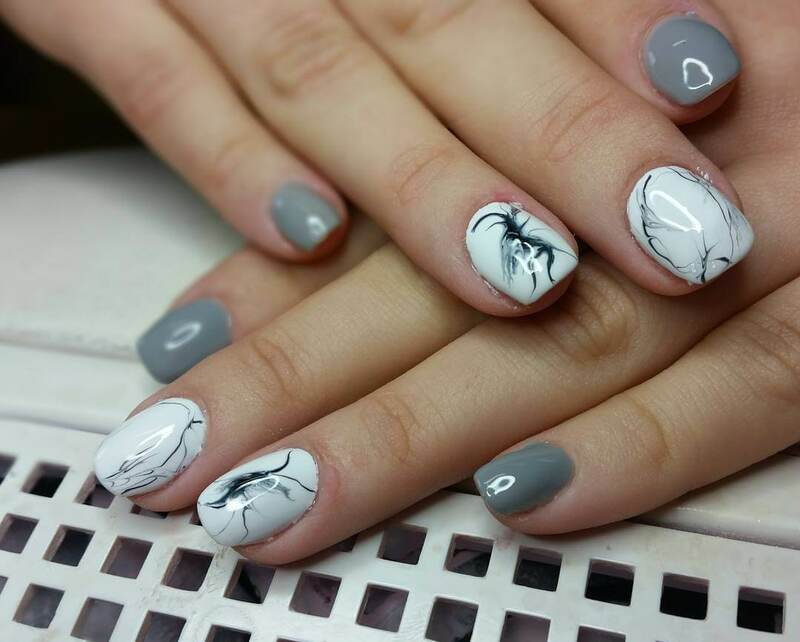 Alternate nails can be painted with black and Grey and silver can be used for designing and patterns. Aztec, flowers or zig-zag looks best. One can also go for a checks look with a combination of these 3 colors. 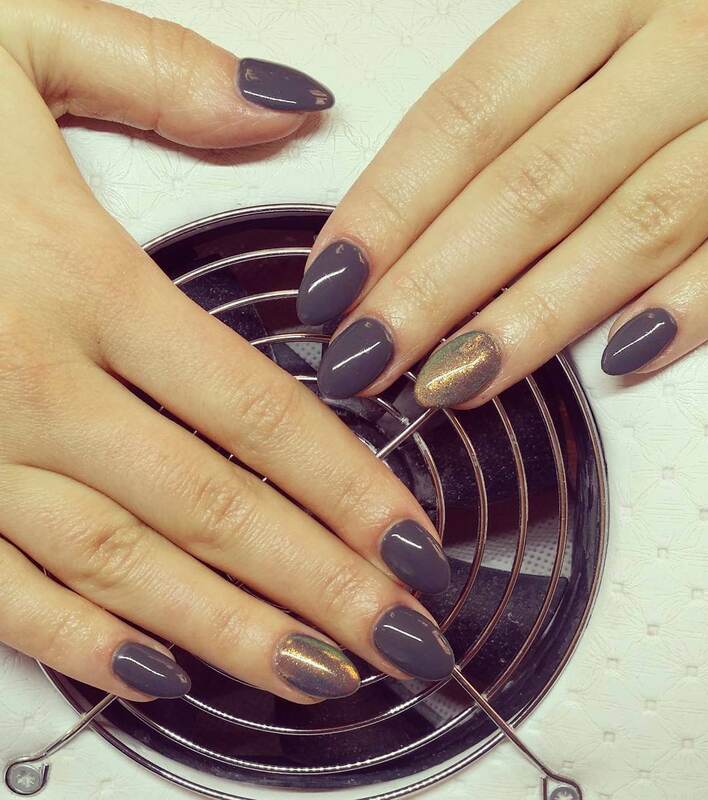 The traditional gold color looks best with gray color. 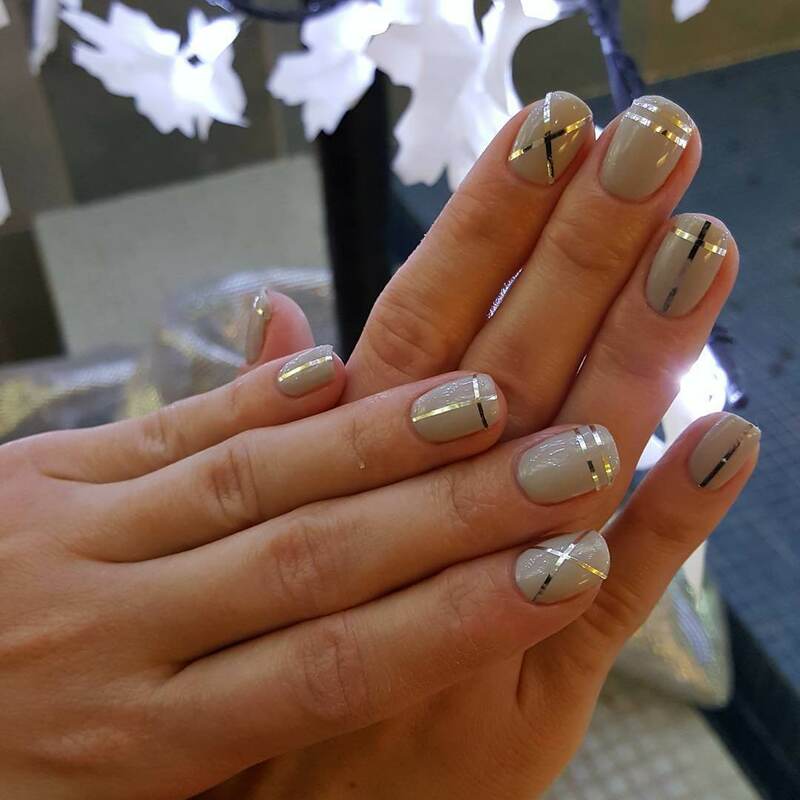 Long slick designs with gold paint on gray base look elegant and feminine. 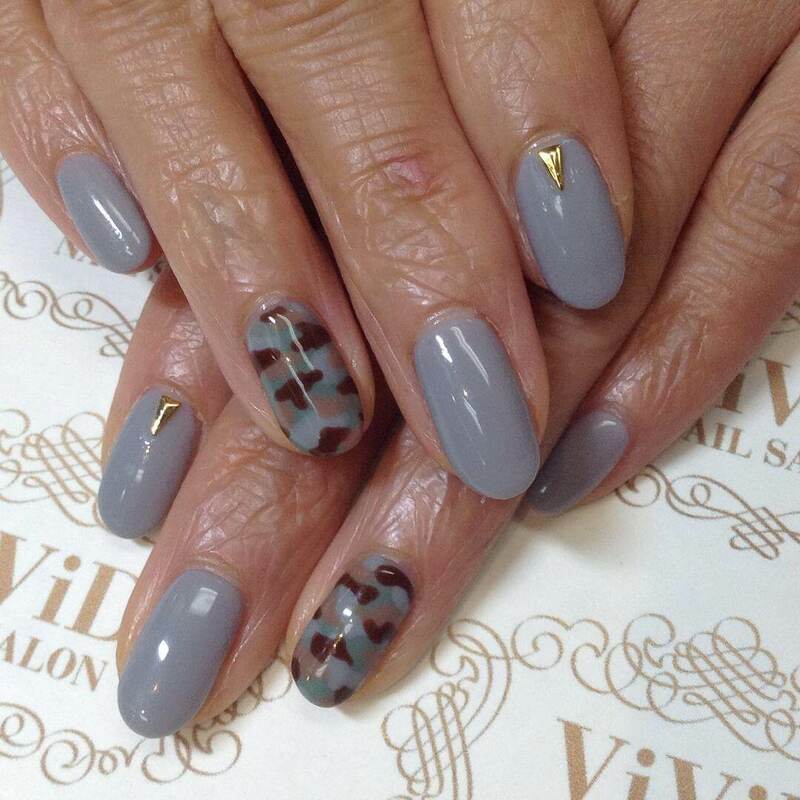 Leaves or creeper like designs can be made with gold in a gray color. Grey and red shades make for a classic contrast. 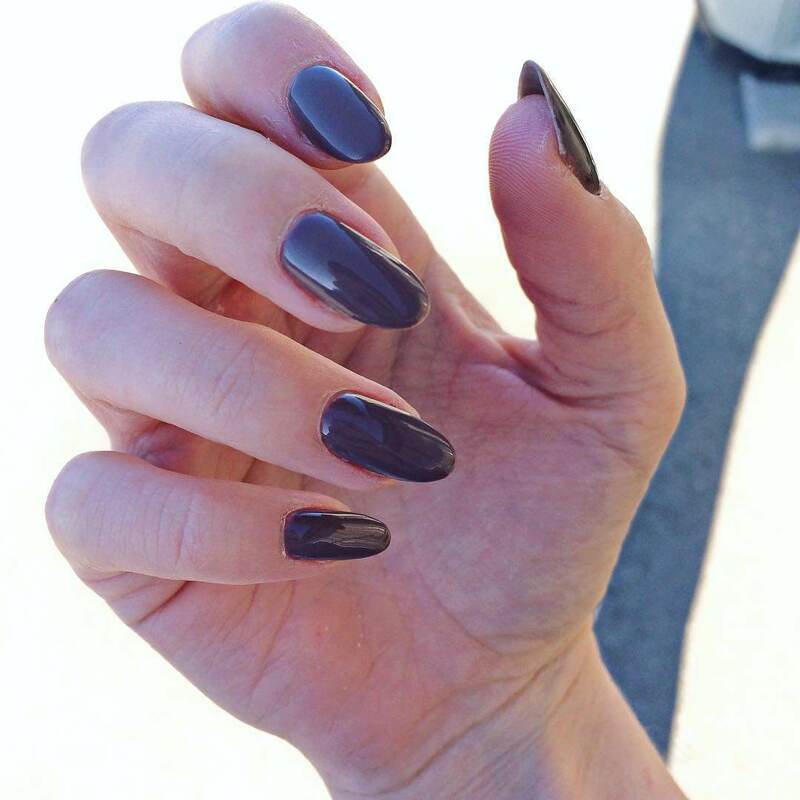 With a gray base coat, experiments can be done with red designs. Aztec, snowflake, flowers, stripes or lines, there are multiple options. 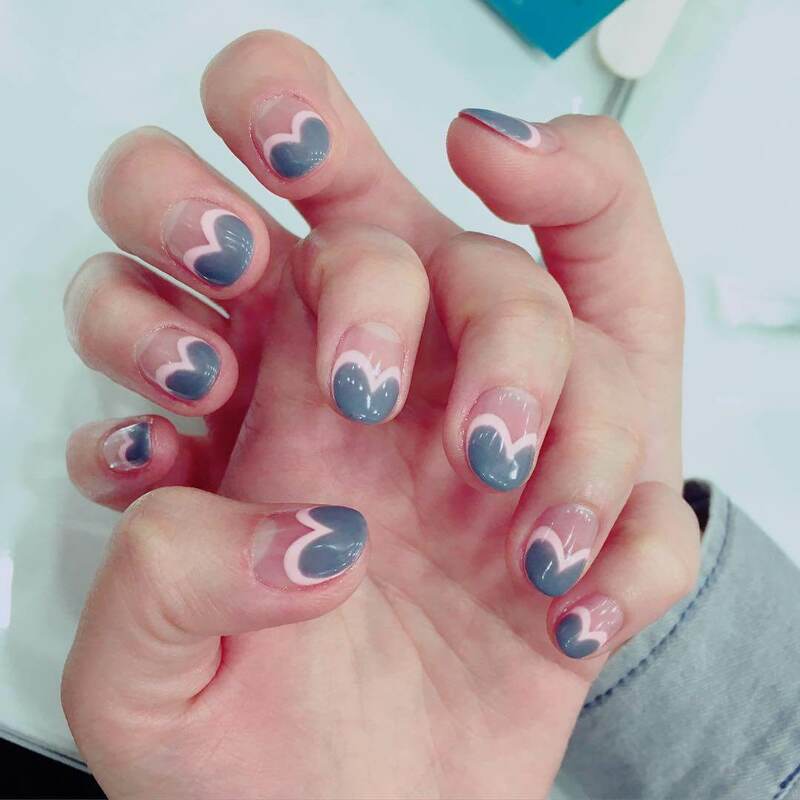 The nail art can be kept plain with alternative red and gray design, or all gray nails with red paint on the ring finger. 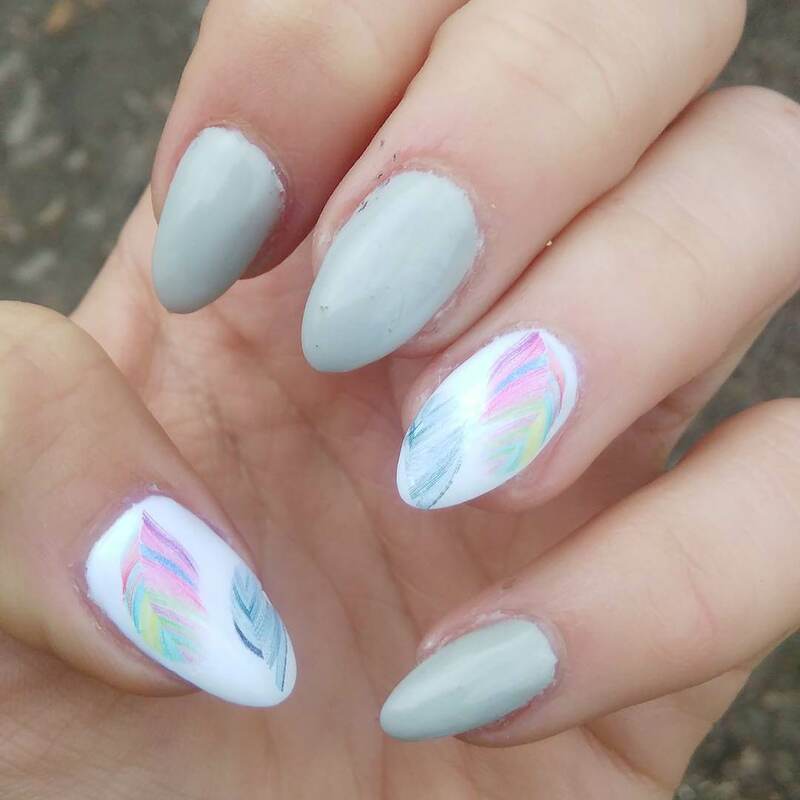 Stickers are yet another option which adds to the beauty of nail art. Various stickers are available with stars, trees, and other designs. 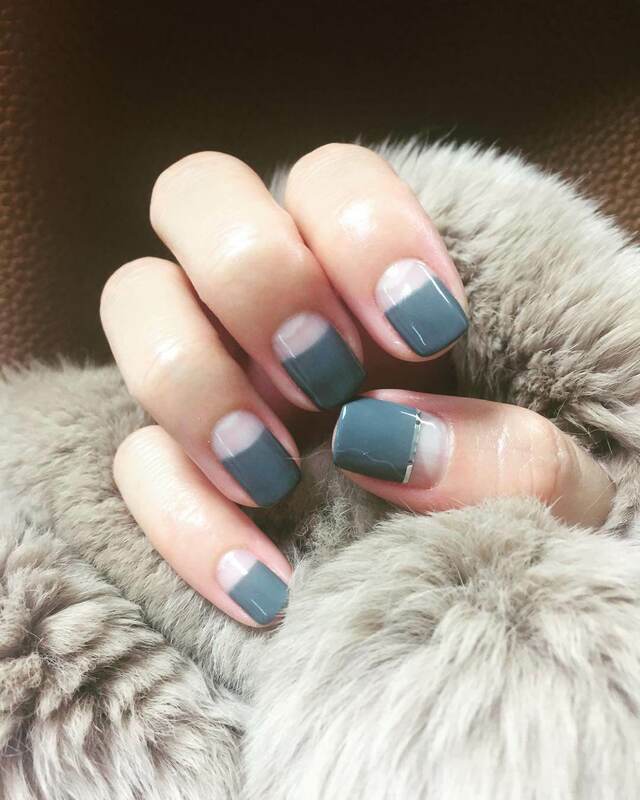 They can be stuck on the plain gray base coat. A clear polish coat will enhance the shine. 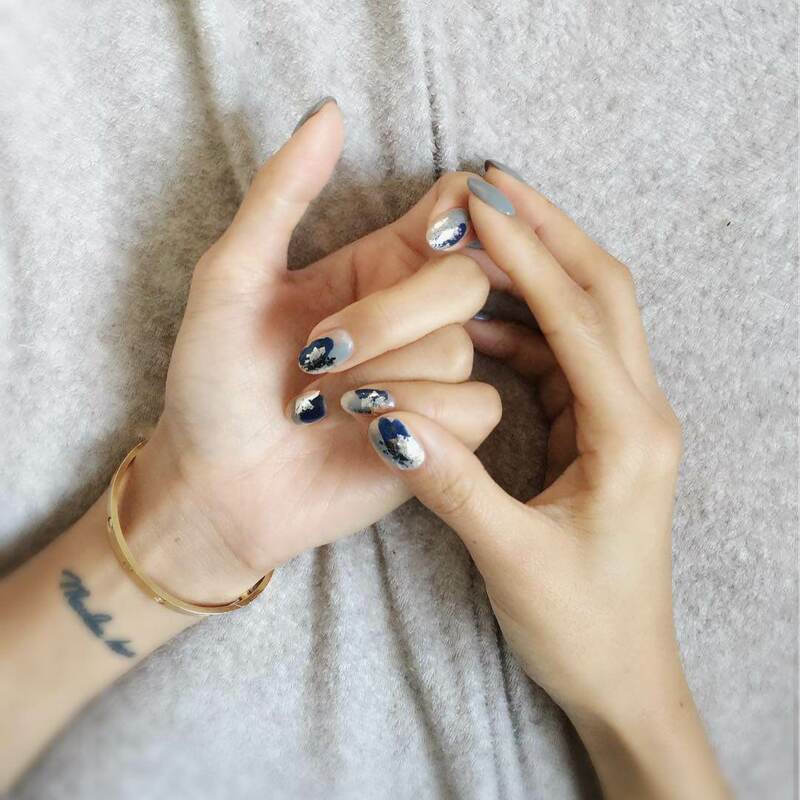 To make the nail art elaborate and dramatic one can add blue stones, pearls, and feathers. These items will look great on the plain gray base coat. 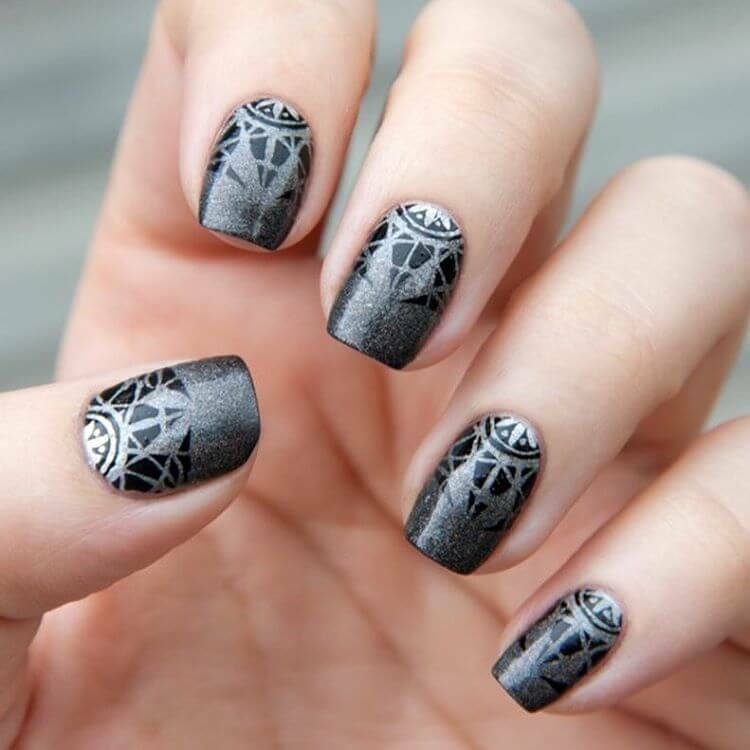 Various designs can be made with pearls and stones on nails. 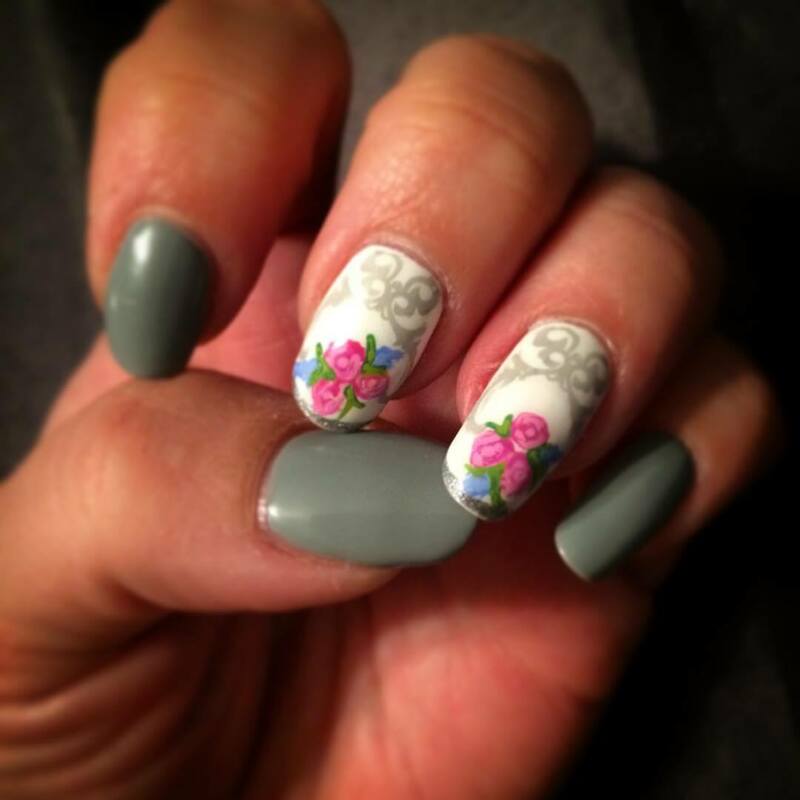 One of the most beautiful nails art designs, pink flowers can be made on the gray base coat. 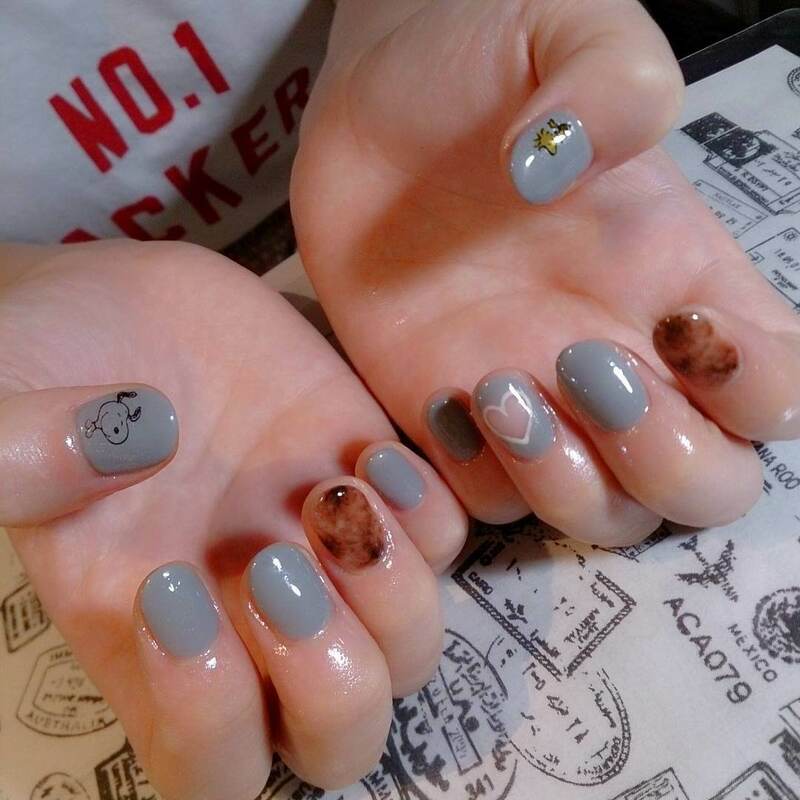 The flowers can be made on bottom or top of the nail. 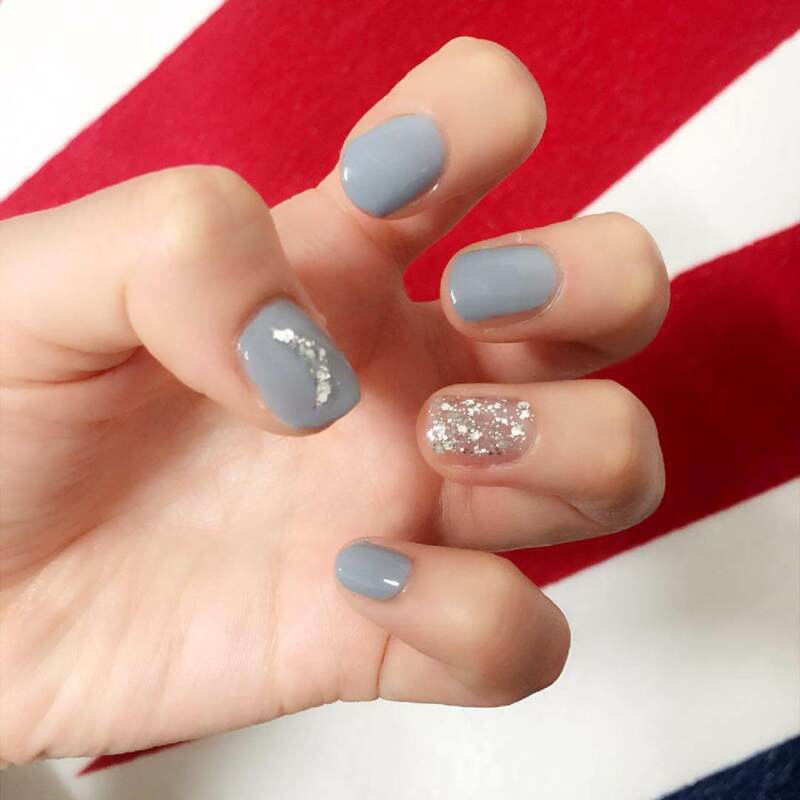 The flower can also have a golden touch at the center which adds to the beauty of nail art. 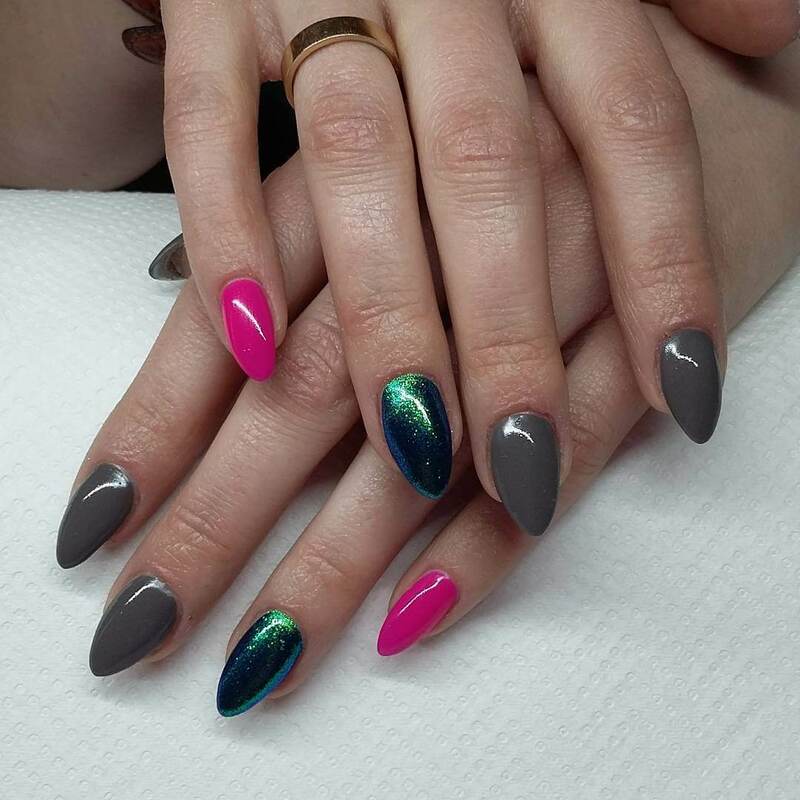 When it comes to nail art people often think only about conventional colors. 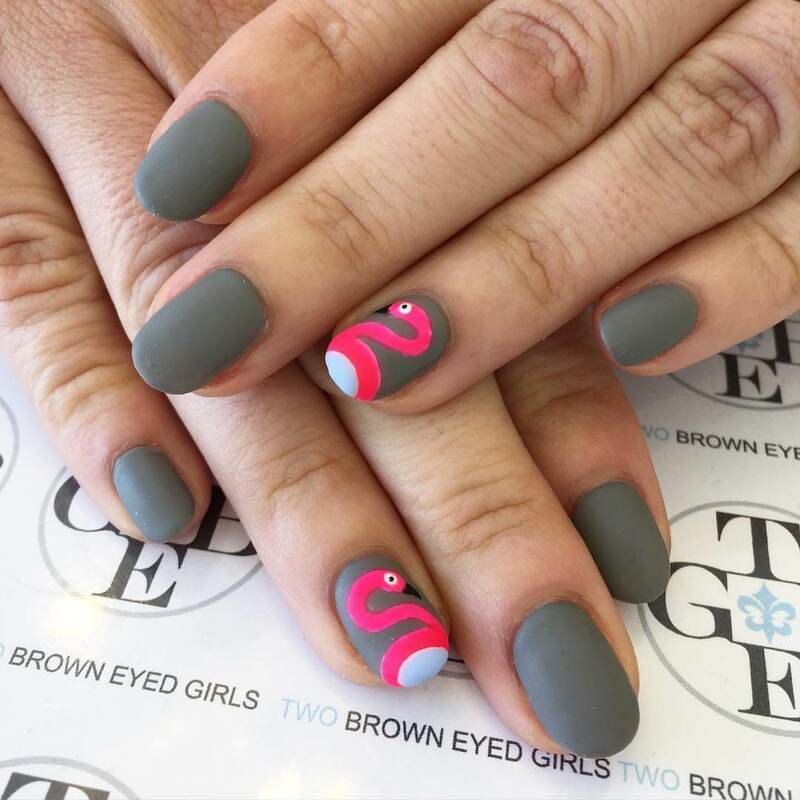 With the recent advent of experimenting in nail art, one can get beautiful designs applying unconventional colors like gray as well. Just a mix and match here and there can do wonders.